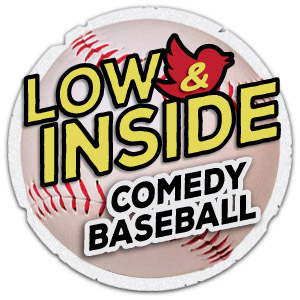 Created by Mario DiGiorgio, Low & Inside is a fast-paced, baseball-themed comedy show where two teams of comics pitch their top tweets and one-liners for base hits and homers. Commentators/umpires, Aaron Brooks & Nick Saverino, call the game and deftly roast players at bat, so even the strikes are funny. It’s all capped off with a four-minute “Home Run Derby,” as player after player lob their jokes in rapid fire succession. Stadium-sized laughter from first to final inning, Low & Inside is a fan-favorite in Austin with a deep dugout of major league talent!